The “e2Care Project” is a new initiative of the Community Rehabilitation Network (CRN). 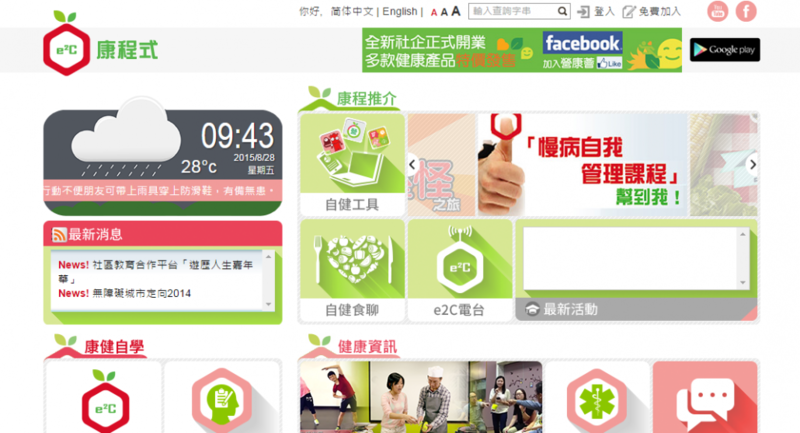 Adapting the latest information technology on community rehabilitation services, the project enhances and expands CRN’s service coverage through a one-stop barrier-free self-learning and health management platform for people with chronic illnesses, their caregivers and any health-conscious citizen in Hong Kong. e2Care enables users to move towards a path of longstanding well-being through a managed healthy lifestyle.